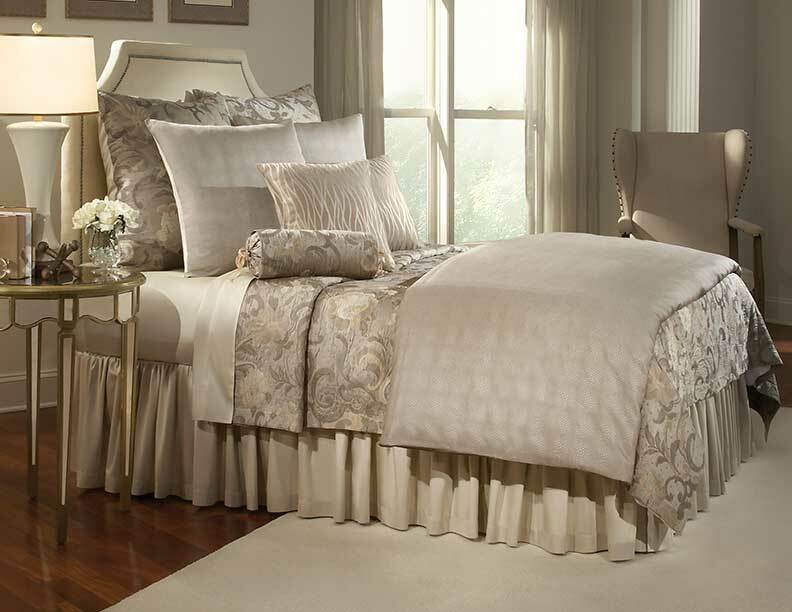 An elegant collection consisting of a Pebble jacquard and a Floral matelasse that has been combined with a coordinating solid sateen for an opulent look. Styled with Safari decorative shams. Machine wash cold on gentle cycle. Wash dark colors separately. Use mild detergent; do not use bleach. Tumble dry on low heat setting. Iron as needed.